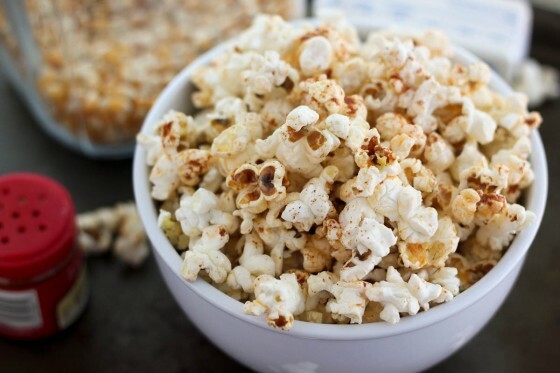 There are only a few things I love more than my multiple-night-per-week helping of popcorn – and that’s reader comments that give me amazing ideas to spice up my popcorn – literally. This month I was featured in our local magazine in an article talking about food bloggers. The magazine featured my Cilantro-Lime Popcorn. I received some comments and emails after that feature and one included an idea for spicy popcorn…I immediately fell in love. And since I haven’t shared a new popcorn recipe in a while, I tried it out ASAP! When it really comes down to it, I am a butter-and-salt kind of girl but every now and then, a little spicy is right up my alley. I’ve been fighting a sinus infection and what better way to clear out your sinus passages than some spicy popcorn! I was thinking that this might be as good a time as ever to share it too because this treat will make the perfect football food. Everyone expects some spicy snacks for the “big game” that’s coming up and most people I know are head-over-heels for popcorn. So put the two together and you have a sure-fire winner for your watch parties. Or maybe you are like me and not so concerned with football, but will eat a bowl of this stuff while watching the latest episode of Parenthood or Nashville. Y.E.S. 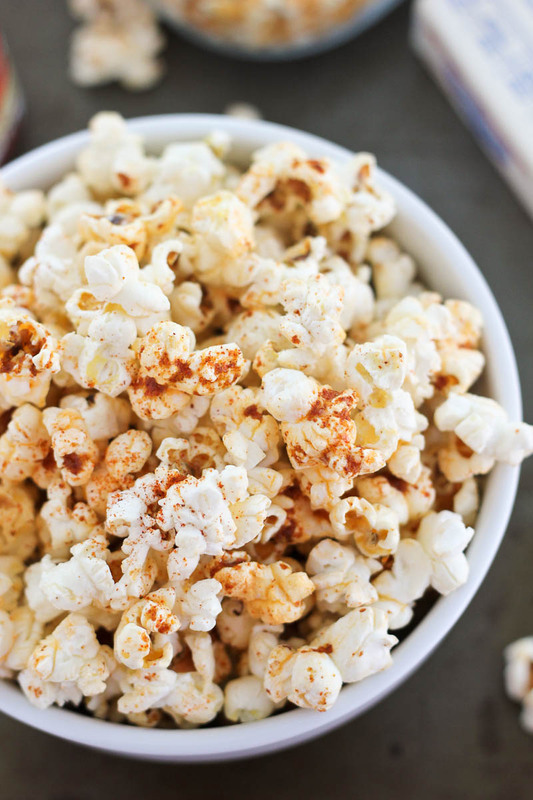 My favorite snack with a hot and flavorful twist - Spicy Popcorn - popped in chili oil and spiced with cumin and cayenne pepper. I’m completely a butter and salt girl too but it is fun to mix it up occasionally. This looks awesome! PS: Wasn’t Nashville slow this week? I have been limiting my popcorn post-baby to kick this weight but I am pretty sure I will be bringing it back soon with these spices!! Yum!! 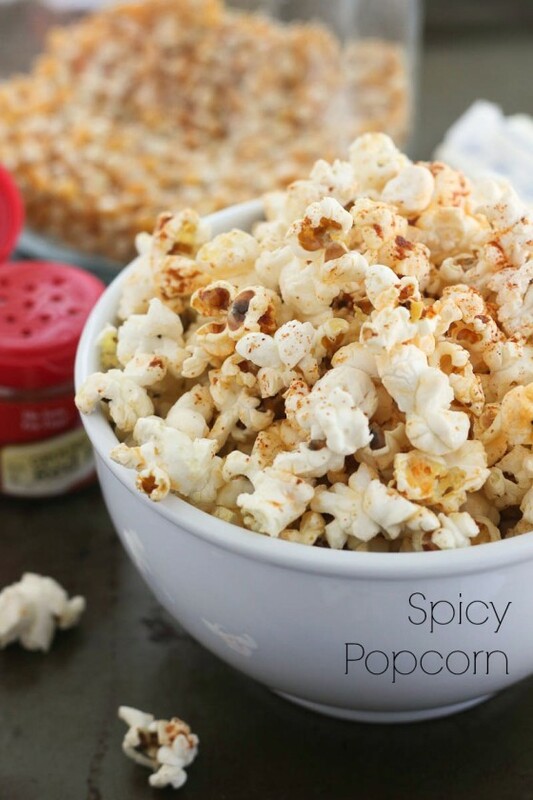 I love adding different flavors to my popcorn – this version sounds delicious! I’m totally craving popcorn now! I love this!! No one else in my family cares for spicy, but I’d happily make this and eat it all myself! Ahhhh I have to get caught up on Parenthood. I’m about 3 episodes behind and I know bad things are happening but I keep closing my ears and saying LALLAALALAA I don’t hear you!! Maybe perhaps I will comfort myself with this popcorn. I’ve never made a spicy popcorn, only sweet. I bet my boys would love this. They seem to love everything spicy! Parenthood is driving me up a WALL right now. I might have eaten a whole bowl of white cheddar/caramel mix popcorn while watching it. But now I wish I had been eating this. Congrats on the feature! Hoe fun! 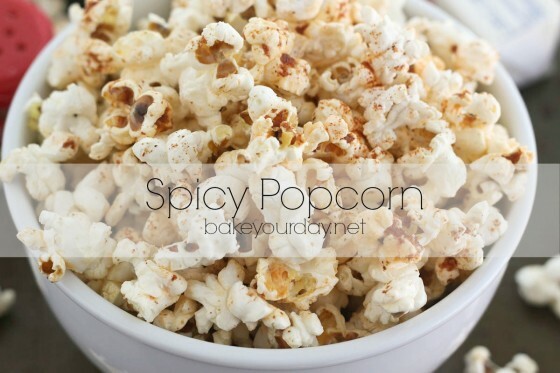 Love the spicy popcorn! Chili sound so good! This is going to be our snack for Downton Abbey tonight! Annnnd this is why I heart you! Spice + Popcorn = My Jam.